Nebraska Student Councils and NASC have played an important role for Make-A-Wish since 1989. It is the commitment of caring schools and communities like yours that allows Make-A-Wish of Nebraska to enhance the lives of Nebraska Wish Families. Nebraska wish kids face life-threatening illnesses, so when a wish is granted, these kids are able to take their minds off their treatment. For wish kids just the act of making their wish come true can give them the courage to comply with their medical treatments, parents might finally feel like they can be optimistic, and still others might realize all they have to offer the world through volunteer work or philanthropy. Whatever the odds, whatever the obstacles ... NASC and wishes find a way to make the world better. 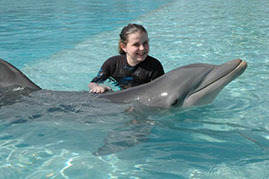 NASC provides financial support to this foundation so it’s able to grant as many wishes as possible. In 2015, NASC reached the one-million dollar mark of statewide collected donations. NASC is the only student organization in Nebraska to have ever accomplished this goal. 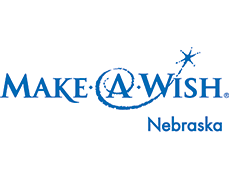 The NASC President works directly with Make-A-Wish Nebraska to raise money and help facilitate dreams on behalf of NASC, and member school councils are encouraged to support that charity throughout the year. Be sure to indicate that you're a member of NASC. That way, your school will be recognized at State Convention!